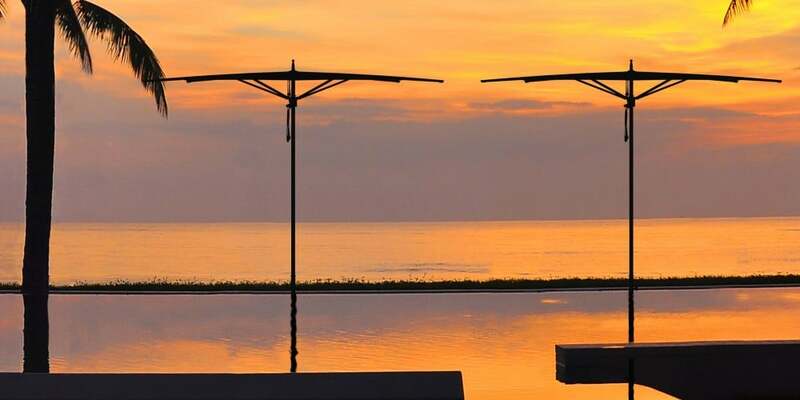 The Zero Horizon is a minimalist approach to shade equipment design. 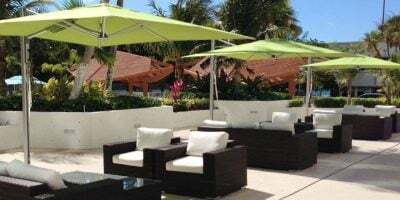 It maximizes overhead umbrella utility with a “zero” vertical canopy profile and provides a minimal fixture impact in any enclave of natural beauty. 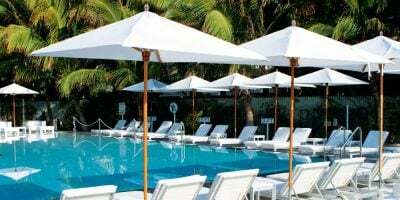 Marine specification parasols combine the best in frame and fabric materials to produce durable lightweight parasols backed by an unrivalled 5/15 limited warranty. 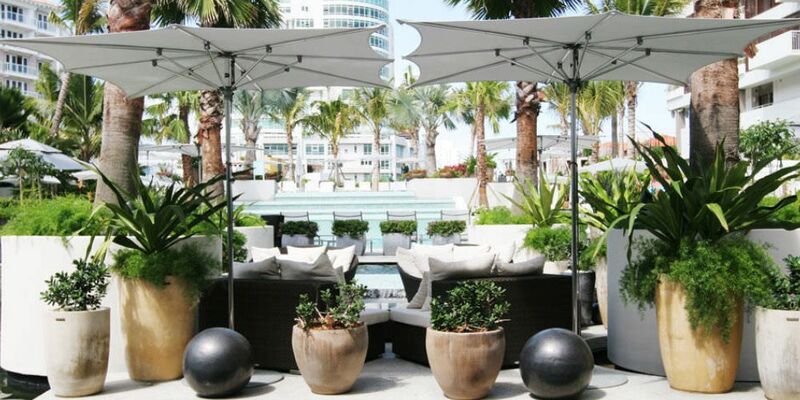 The high tension canopy is available in a number of contemporary materials or in Sunbrella marine grade fabric. The Autoscope is a unique TUUCI system, with a gas piston to enable parasols to close over tables. 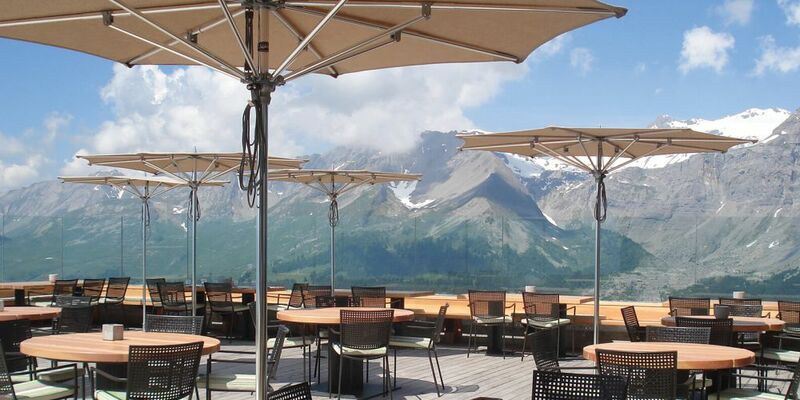 This system lifts the parasol canopy as the parasol closes, raising the whole top above the normal closing height. Armor-wall, highly polished aluminium pole and ribs. Stainless steel fittings and pulley system, for easy operation. Cleat system to hold the canopy open, so no awkward pins. Delrin with Teflon hub for strength and brackets for easy changing of components. 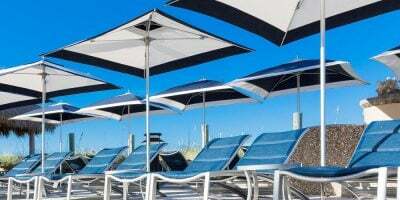 Canopies are available in Sunbrella Awning Grade Fabric and sharkskin fabric options, for a more contemporary look. Sharkskin fabric is silver top side and white underside and is very easy to clean.